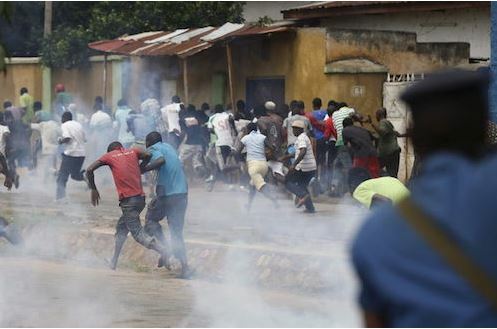 Minna—THERE was pandemonium on Monday night in Tegina,Rafi Local Government Area of Niger State, leaving no fewer than 10 persons with various degrees of injuries after some youths disrupted a Christian crusade organised by a man from a royal family who recently converted to Christianity. The man identified as Prophet Shuaibu Bashir, said to have been “born again” is said to be from an unnamed royal family in Sokoto State, and was said to have been organising series of crusades and converting many people to Christianity in the local government and its environs in the last few months. His activities were said not to have gone down well with some Muslim individuals and youths in the area which prompted the attack on crusaders. It was gathered that the crusade had gone viral because of the “wonders and powers” including healing of long time and chronic sicknesses among others, which has been attracting many people from far and near irrespective of their religion and thus propagating and projecting Christ in the area to the people. Vanguard learned that just as the latest crusade was about to take off in Tegina town with a large crowd in attendance, some irate youths, whose identities are yet to be ascertained, stormed the venue and beat up the worshippers, thus forcefully dispersing them and thus ending the crusade abruptly. Besides those that sustained degrees of injuries, all the vehicles numbering up to eight that conveyed the worshipper to the crusade were seriously damaged, while some motorcycles brought to the crusade by worshippers were stolen by the invaders. An impeccable source told Vanguard that the organisers obtained permission from the Police in the area, while the Emirate Council was also officially informed before the commencement of the Assembly and wondered why the religious event should be violently disrupted.